Upgrading your camper could work out as a much more cost-effective way of enhancing your camping experience. Not only can you add personal touches to your camper van; you can also save pounds in the process! Why spend thousands of pounds on a new camper when you can save what you have already got? We can transform your motorhome or campervan into a vehicle you cannot wait to use! 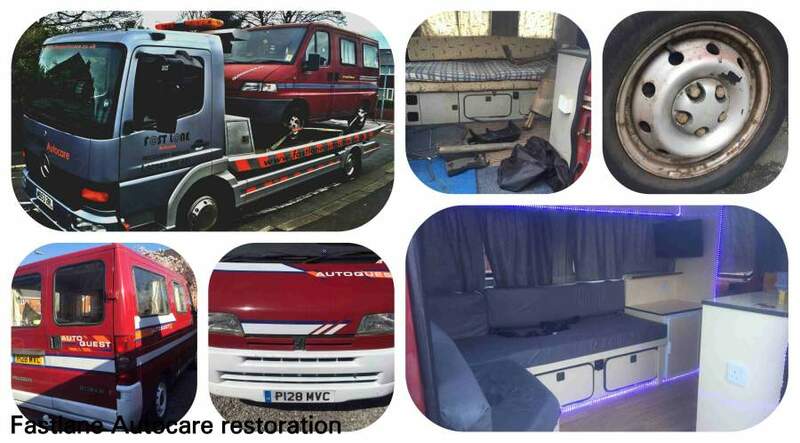 We have been a vehicle repair company for over 10 years now, having worked on a number of campers over the years, we decided to offer a complete 'under one roof' restoration service. After repairing a number of campers we realised how hard it is to get products and items needed. 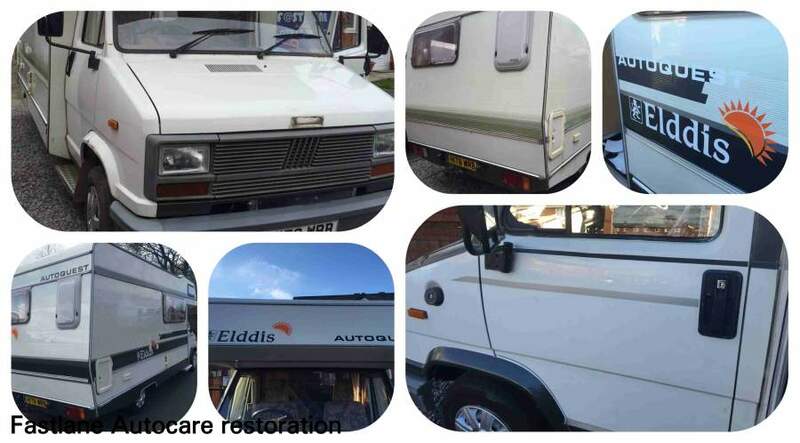 Here at Fastlane Autocare, we now have a dedicated restoration and repair service to help our customers get their campers and motorhomes back to their former glory! Getting your camper restored to exactly how you want it is a simple as picking up the phone! Camper Van Service, Maintenence & Repair Is Just A Phone Call Away! Not sure what you want to do with your Camper? Not to worry. A lot of the time we have customers who simply give us their vehicle and ask us to do the best we can within their budget! We offer an affordable service and the established links with numerous suppliers mean that we can offer real value for money with lighting, parts, and accessories. This means not only do you get the very best we can get your for your money but also we can do it at a very speedy rate! If you're looking at getting us to re-Design your current motorhome or camper it couldn't be simpler! The first step is getting us out! We will discuss your ideas and explore possible designs that could fit with your personal taste and are within your budget. We will explain the necessary steps involved in your camper vehicle's restoration and give a clear plan with an estimated quote of the expected costs of fittings, along with a breakdown of the work that will be undertaken within an agreed timescale. 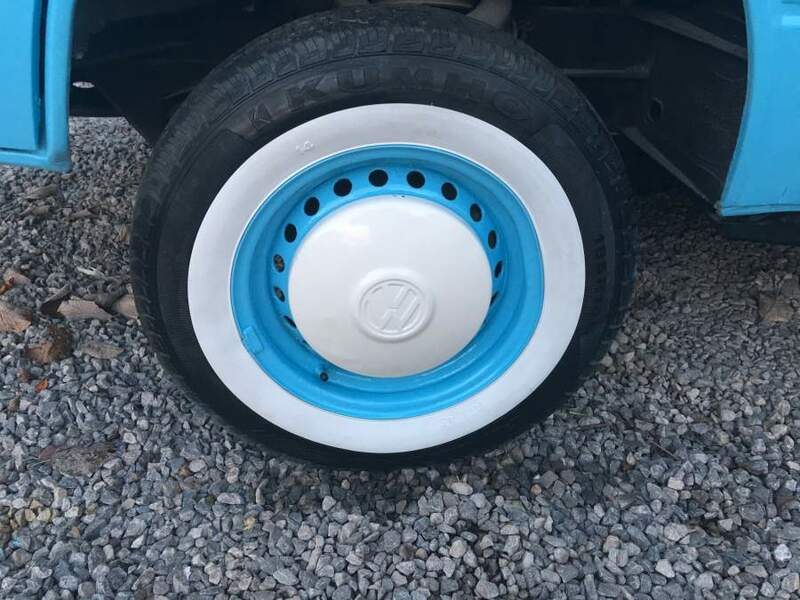 As we have a dedicated restoration team we pride ourselves on restoring camper vehicles as quickly as possible, whilst ensuring a quality finish. We take pride in all of the restoration tasks taken out and enjoy transforming camper vehicles, whatever their current state! We can offer you the following camper repairs fully mobile at a time and place to suit you! In fact, Fastlane Autocare is your one-stop shop for camper and motorhome restoration. Here are examples of two recent campers we have upgraded below. Please have a look at what we achieved and feel free to contact us directly for any other queries. 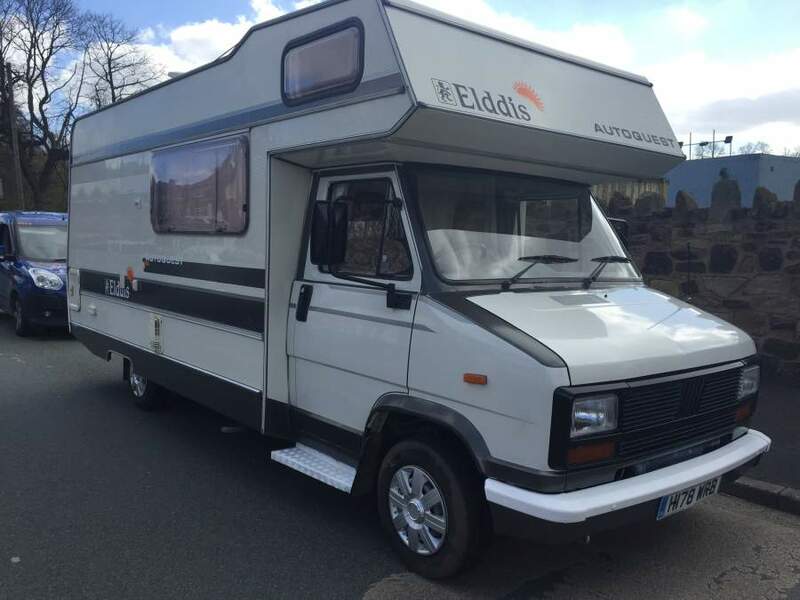 When we first saw this Fiat Ducato based Elddis Autoquest 400 it looked fairly sorry for itself. The interior was extremely worn and the items installed had been poorly fitted and were not correct for this camper. First, let us start with the interior... We simply started again! The camper interior was suffering heavily from damp so this had to be specially treated with the woodwork treated or replaced. We then started by rewiring the whole electrical system and 12-volt system; some of which was wired incorrectly and of a dangerous state. After we had sorted out that part of this camper, we refitted the sockets flush to all surfaces, making it look much neater and modern. We then commenced the build-up after discovering this camper was suffering from damp around the door area and into the kitchen area we started to treat it. When this had been done, we refitted the kitchen area with rich mahogany worktops as well as a new sink and also a glass counter cover for the cooking area, which was very much in keeping with the sink. We then started to rebuild the woodwork with every door rebuilt as they were worn out. We kept the look of rich mahogany with a classic teak look. As you can see, it looked a different camper! We then fitted out the dining area with a rich mahogany table which was in keeping with the kitchen area, as well as new curtains and seat covers giving it an overall fresh look. Then, we installed a flat-screen TV and LED downlighters throughout fitted on a 3-way switch system so all areas could be lit up or individual areas of the camper. We then fitted out the camper with a surround sound system, by the end of this fit out it not only sounded amazing but looked it as well! To finish it off we put new taps and water feed pipes in and fitted the floor out with a solid quarter inch thick wood floor. Again the camper was a bit of a sorry state, to say the least, The main issues we had here included heavily corroded wheel arches. You could push them in with your thumb! Also, around the windscreen was a big issue. After stripping everything back, we rebuilt the arches and around the window screen. There were numerous dents and scratches around the camper as well as oxidisation which is a form of rot caused in aluminium. Once we had sorted the bodywork, we re-painted and machine buffed the whole camper so that we could focus on the cosmetic side and overall look of the camper! We opted for graphite and silver as a colour scheme and the whole of the camper's vinyl work was completely custom designed. After we tidied up the wheels with some fresh trims, we re-painted the front bumper and side steps and finished it off with new logos. The underside was an issue at the back end as the framework was rotten due to age and this made the back end of the camper extremely flimsy with no support. After we installed a new rooftop solar panel, we got everything working correctly! The outside had a totally different look and in the words of our customer, "I cannot believe it's my camper!" We again started from scratch with new pipework in the toilet area. As a lot of this customer's budget had been spent making the camper safe and structurally sound, we reused and refurbished a lot of the toilet and shower accessories what was there, to begin with. We added wall finishes and a new pull out shower. We refurbished the dated toilet with a fresh clean look, and ensured a bright, airy finish with specially chosen white acrylic paint, wipe clean plastic and hardened vinyl. This Peugeot Boxer camper was one we saved from the scrap heap. There was no choice but to get the whole vehicle as the interior was damp and rotten. We rebuilt the camper completely and installed an LPG night heater. The kitchen area was rewired as was the whole of the camper and we removed the toilet and replaced the area with a fridge which we built into a storage area. Then, we installed a flat-screen TV to finish this off. We installed LED lighting and a wooden floor as well as a complete vinyl wrap in classic cream to give a fresh, appropriate look! The whole of the 12-volt system was started from scratch and we installed a solar panel with a leisure battery as an extra power source. So for all your camper Repair, Restoration and Servicing needs, give us a call. Here at Fastlane Autocare, we are always happy to help!